Italian Air Force Eurofighter and T-346 aircraft played the role of the enemy during the largest national exercise Vega 2017. 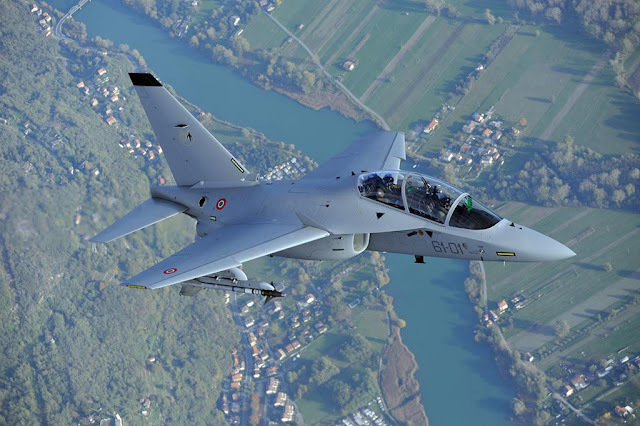 Italian Air Force T-346 "Aggressor"
The recently completed exercise Vega 2017 was designed to test hardly the capabilities of the Italian Air Force's personnel, aircraft and equipment. This goal has been achieved by creating a very realistic and challenging simulated threat. The Air Force has deployed an excellent team of "bad guys", called Red Team, Opposing Force (OPFORCE) or Aggressor. They had the task of hindering the "good guys", trying to prevent them from reaching the goals set in the exercise and pushing them to achieve maximum results at each stage. The Red Team played the typical role of the Aggressor Squadron by adopting enemy tactics, techniques, and procedures to give a realistic simulation of air combat. 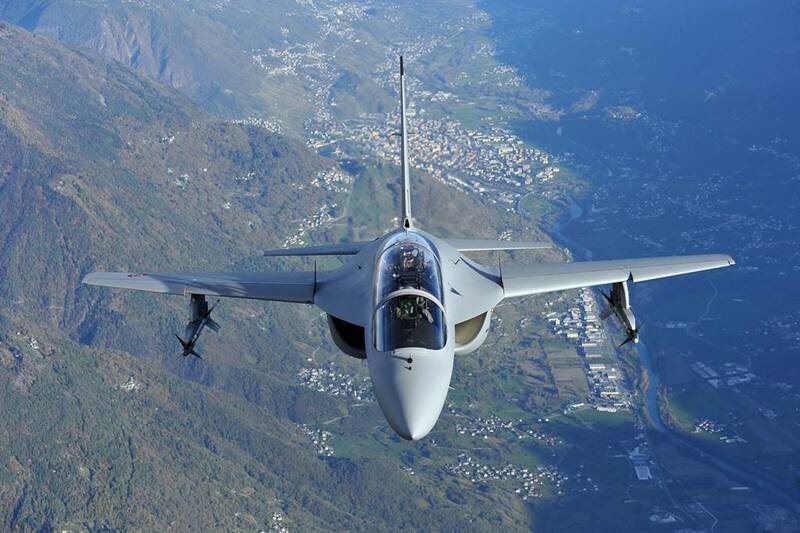 The Italian Air Force does not have a permanent Aggressor Squadron like the U.S. Air Force, but it is composed when necessary during aerial exercises such as Vega 2017. During Vega 2017 the Air Force successfully deployed Eurofighters and T-346s for this role, the fighter jets were based and operated by Decimomannu AFB, Sardinia. Typhoon jets also played the "Blue Air" role. The big surprise of recent years was to see the T-346 fly the enemy role. It is a modern training aircraft that Italian Air Force uses mainly to train pilots for the latest generation fighter jets, but it can also cover several tactical roles thanks to its great maneuverability and versatility. The T-346A "Aggressor" made its debut during the exercise TLP (Tactical Leadership Programme) in Albacete, Spain, February 2016. 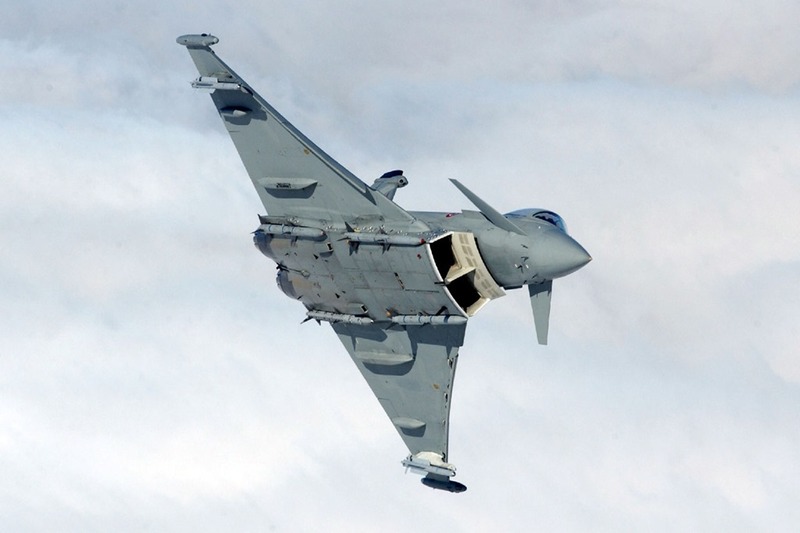 On that occasion, it took part in quite complex missions which included as many as 12 Aggressors and many “Blue Air” combat planes, including Rafale, F/A-18 Hornet, Mirage 2000 and Eurofighter.